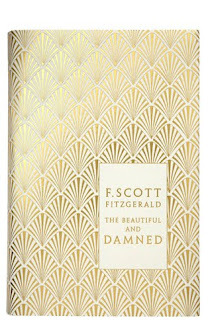 F. Scott Fitzgerald's second novel, The Beautiful and Damned, was published in 1922. Like This Side of Paradise, there are clearly some autobiographical themes here, even to those who know little about Fitzgerald's life. Most obviously, central characters Anthony and Gloria are in some ways representative of Fitzgerald and his wife Zelda. Moving on a bit from his first novel, the focus here is on characters in their mid to late twenties, and the sense of tragedy which hangs over The Beautiful and Damned (from title on down) goes deeper than the atmosphere of Fitzgerald's debut. Anthony Patch is the only grandson of famed industrial-turned-moral reformer Adam Patch, and grows up in a life of moderate privilege with the expectation of more to come. Through the first part of the novel, we spend time with him and his friends, eventually settling on his up & down relationship with the beautiful & self-absorbed Gloria. The two get married, and essentially spend the rest of the novel spending more money than they have, getting depressed about that fact, and continuing on anyway. Anthony finds the idea of work anathema. In many ways his generation for whom the idea of working for a living was not an automatic assumption: think of Anthony as the American equivalent of one of Bertie Wooster's poorer friends, a class who don't quite have enough money to live without working but who nonetheless believe that earning a salary is beneath them. Fitzgerald charts Anthony & Gloria's decline as they run through their resources with a remorseless eye. It's very hard to feel sympathetic to either of them - their good intentions of spending less or actually earning money through any kind of work never last longer than a day or two. Pure inertia seems to be their defining characteristic, as they find it easier to drink the days and nights away. And, in one of the novel's cruelest themes, they never really enjoy themselves either - their extravagance mostly consists in drinking near-constantly, but mostly in a desperate way, and in living in houses which are just outside their means, but which they are still underwhelmed by. Perhaps key to this novel is that the title has only the one definite article: it's not The Beautiful and The Damned, but The Beautiful and Damned. The Beautiful are, perhaps inherently, Damned. 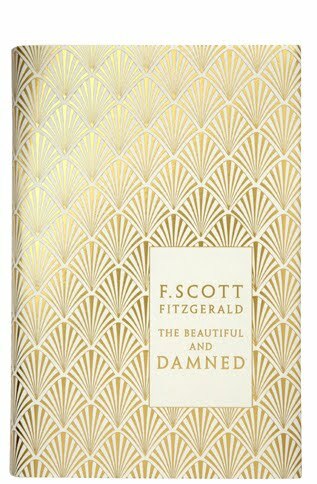 The ending of The Beautiful and Damned, which I have no intention of giving away, is something I am a bit uncertain about: I'm not sure if it's a perfect conclusion or a bad flub by Fitzgerald. Either way, it completely reversed my expectations, so I guess that's usually a plus. Right now, having only just finished reading, I think he got it right, but I can see how one might make the case that it went the other way. If all of this sounds unbearably depressing, it's saved by Fitzgerald's customary lightness of prose. Even in some early passages which describe the working class in terms that would make C. Montgomery Burns blush, Fitzgerald has an eye for the spot-on description or effortlessly memorable phrase. I particularly liked his description of a conversation between Anthony and his two closest friends early in the book: "They are engaged in one of those easy short-speech conversationsthat only men under thirty or men under great stress indulge in", and also a later passing description of a Lieutenant Kretching: "[He] was considered a good fellow and a fine leader, until a year later, when he disappeared with a mess fund of eleven hundred dollars and, like so many leaders, proved exceedingly difficult to follow". That has nothing to do with anything in the story, but it's an indication of the small things that great writers get right. I love the 'short-speech conversations' line. Good sentences are fun to collect, even when they don't necessarily have a lot to do with the novel as a whole. There's a part of me that is increasingly interested in the smallest parts of writing. I love well-turned phrases or sentences, enjoy paragraphs or passages, quite like a lengthy section or chapter, and am concerned about the overall story least of all. The last idea for a book I had involved taking a minor plot point from a Dickens novel, setting it up in three or four different groups of people and then rotating between each of them to see how the same starting point affected all of them in different ways. Each storyline would also be told in a different narrative style/voice. It all got very post-modern meta-narrative very quickly, in my head.